There are a few things the French do especially well — cheeses, pastries, literature and, my favourite, skincare. French pharmacies are famous for carrying a ton of beauty must-haves, from Avène and Bioderma to Caudalie and Nuxe. 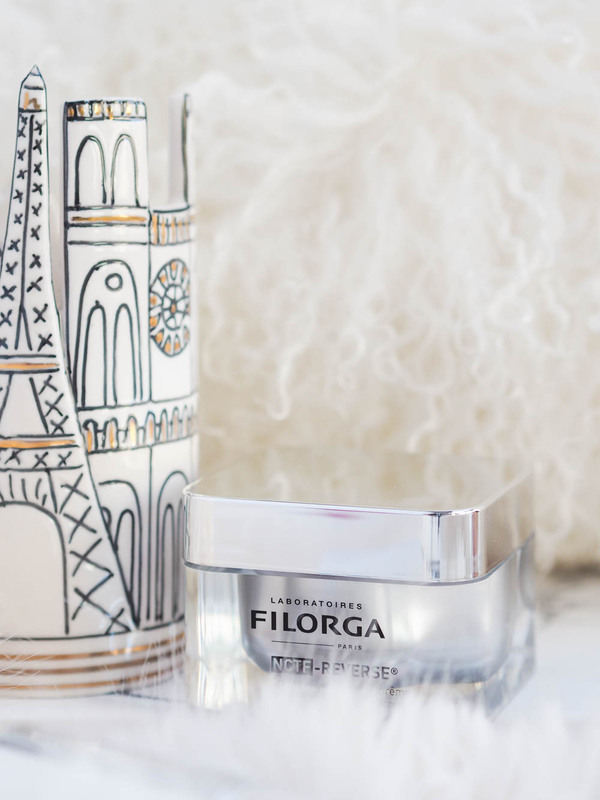 I was recently introduced to my latest French skincare obsession — FILORGA. In true Parisian fashion, FILORGA’s new NCTF-Reverse skincare range* is chic, luxurious, and effortless. And it’s available on the shelves of the Shoppers Drug Mart Beauty Boutique, so you won’t even need to hop on the next flight to Paris to get your fix! 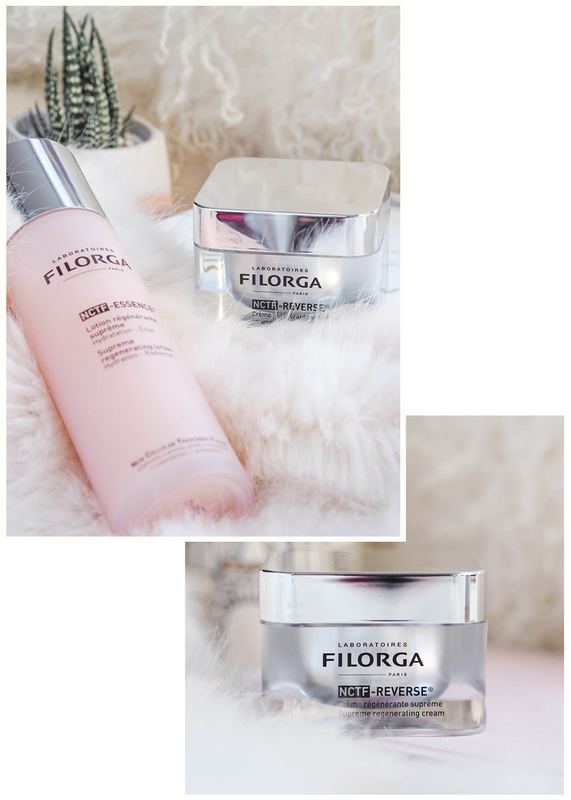 FILORGA may have started out as a brand of cosmetic medicine treatments (a.k.a injections) in 1978, but they have since created an extensive range of skincare products aimed at those who want to see real results without having to turn to needles. FILORGA’s latest launch is a non-invasive version of the injectable New Cellular Treatment Factor (NCTF, for short) cocktail that’s been wildly popular all over Europe for the past 40 years. The NCTF injections are packed with 50 ‘anti-aging’ active ingredients that work together to restore the skin’s youthful appearance. Like the injectable treatment, the FILORGA NCTF-Reverse skincare range acts on the five most visible signs of aging: skin tone, pore size, evenness of complexion, hydration level, and micro relief. 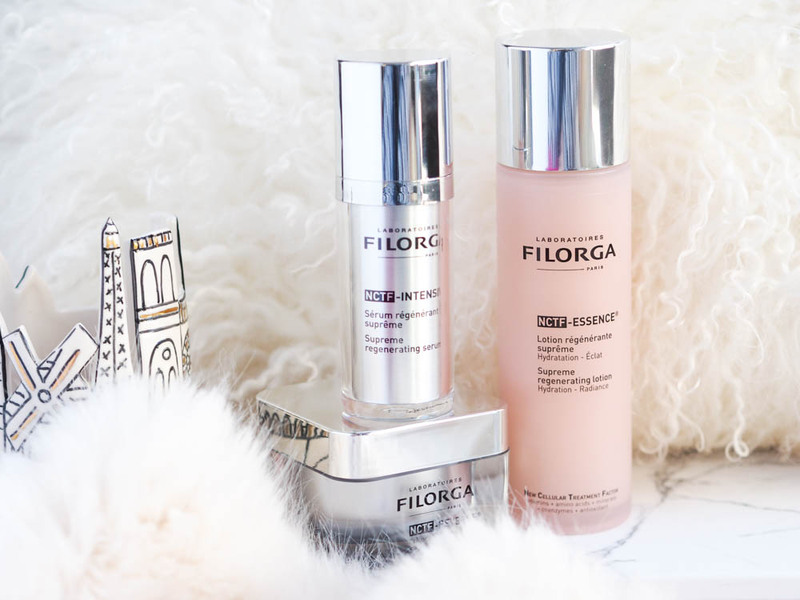 Because it’s difficult to concentrate so many active ingredients in such high doses without destabilizing the formula, it took three years of research to make the FILORGA NCTF-Reverse skincare range, and the results are impressive. The range includes an essence, a serum, and a rich moisturizer, all tinted pink due to the high concentration of active ingredients. Cute! Each of the three product contains the equivalent of one injection of NCTF. If you use the whole range morning and night, you get the benefits of 3 whole vials of NCTF — without the pain. 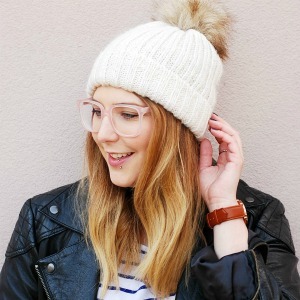 I’m not opposed to botox or other cosmetic injections in any way, and I’ll be the first in line to get my wrinkles botoxed out when the time comes, but I’d rather not have to see a needle before I absolutely need to. Now that I’m in my thirties, I’ve accepted that the time has finally come to switch up my skincare routine to incorporate more ‘anti-aging’ products, though I will never stop having a problem with the language used to promote them or the claims they make. The word ‘anti-aging’ makes me rage like nothing else, which is why I always use quotation marks around it. It’s an accepted term in the industry, it’s almost impossible to write around it, but it’s absurd. There’s not a moisturizer in the world, no matter how expensive, that can stop the aging process. FILORGA is different than other brands who churn out ‘anti-aging’ products along with a variety of dubious claims. For one, they use the same active ingredients that are used in the injections, but they also back their claims with years of expertise and scientific research. FILORGA also seems to rely less on heavy-handed marketing tactics than other brands, which is incredibly refreshing. I’m #blessed with youthful skin, so it’s still early for me to use a line that actively plumps out wrinkles, but I was absolutely thrilled to try the products. I don’t see much difference because there’s nothing to see yet, but I feel good knowing that I’m being proactive and taking good care of my skin. Better safe than sorry, especially when it comes to skincare. I love essences, a staple in Korean beauty routines, in general, but this one is pink and smells delightful so it has a special place in my heart. The essence step comes after makeup removal and before serums. It prepares the skin for the serum and helps everything glide on smoothly, and it also gives an immediate boost of hydration that helps the skin soaks up more moisture. The texture is ultra-light (it has the feel of water) and it’s absorbed instantly without any greasy residue. I recommend applying it with a cotton pad to keep things mess-free and save as much product as possible. 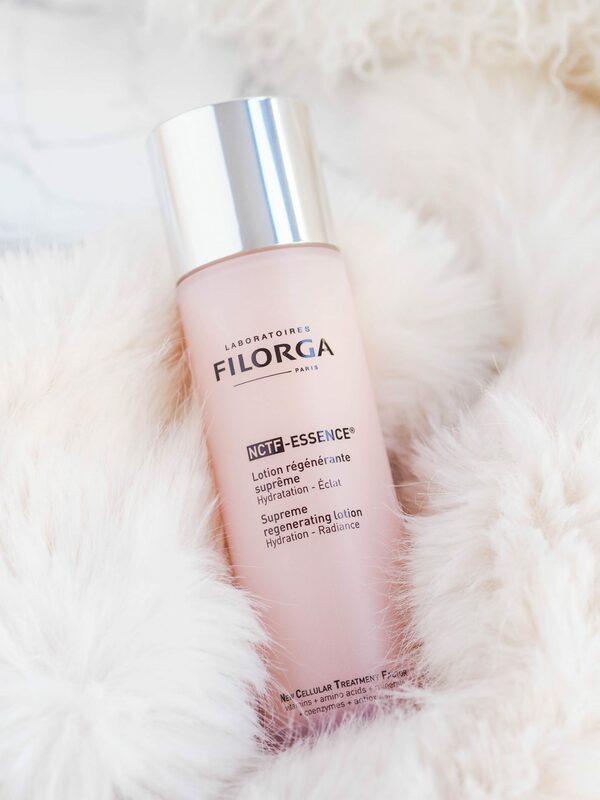 The essence is by far my favourite product from the NCTF-Reverse range, because it requires zero efforts but it feels like I’m taking amazing care of my skin every time I use it. Skincare is more about the ritual and the experience than the results for me, though this definitely delivers on both fronts. It smells slightly floral, with a whiff of clean laundry, fresh flowers, and expensive shoes. It’s that luxurious. 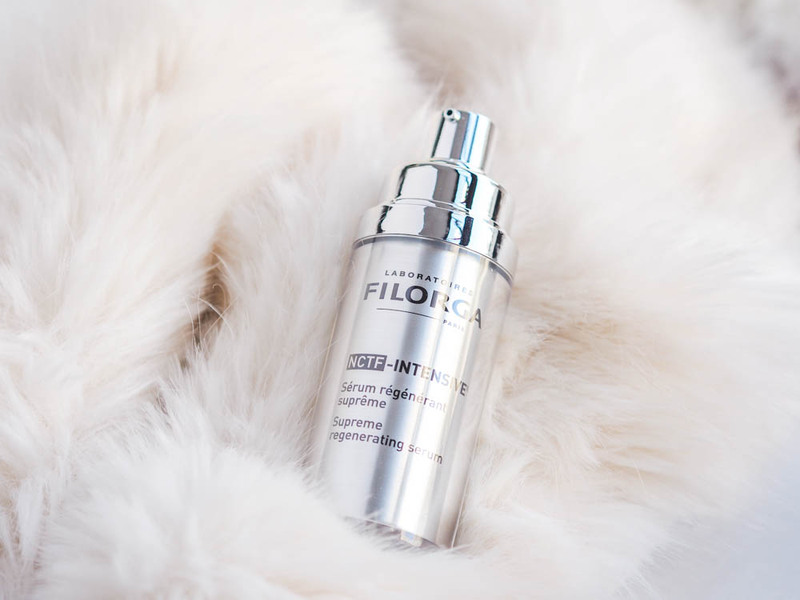 After the essence comes the booster, in the form of the FILORGA NCTF serum. The serum penetrates the dermis deeply and saturates it with active ingredients to target wrinkles and improve the skin’s firmness and radiance. It has a lovely gel-like consistency, it’s quickly absorbed, and it smells just as clean and expensive as the essence. Like the rest of the range, it contains the equivalent of a whole vial of NCTF. If you’re concerned with plumping out the skin but don’t want to invest in the whole NCTF range, this is the item to choose. It pairs well with more affordable moisturizers, and when it comes to targeting specific skin concerns, serums are generally the way to go. The last step is, of course, a good moisturizer. The FILORGA NCTF-Reverse cream is packed full of active ingredients, but it’s also enriched with shea butter to provide intense hydration on ultra dry skin. Like the serum, it targets wrinkles and is said to help improve the skin’s firmness and radiance. Like most moisturizers aimed at an older segment of the beauty market, it’s incredibly rich and thick. I’ve suffered from especially dry skin this winter, but I didn’t find that it provided any more hydration than any other gel-like moisturizer I’ve had on rotation for the past few months. I also don’t like strongly scented moisturizers, though I don’t have a problem with the scent of the essence or the serum. 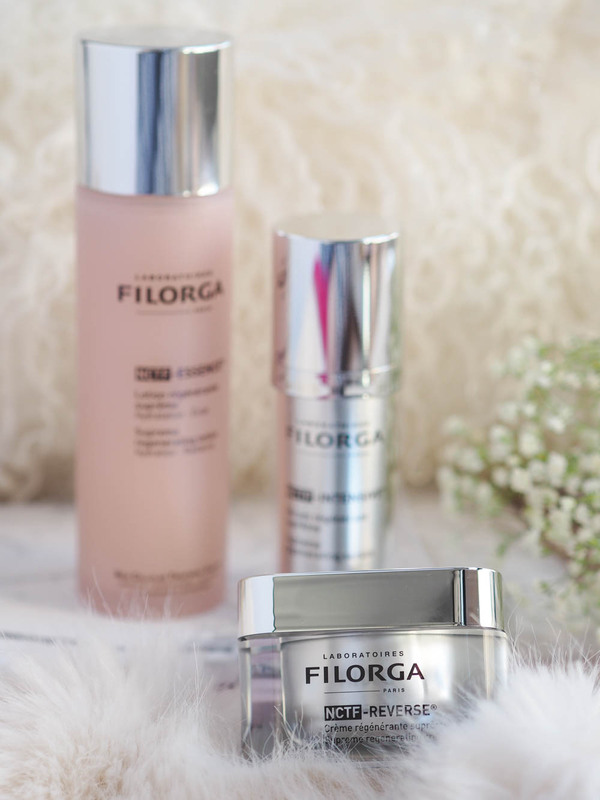 My very favourite thing about the FILORGA NCTF-Reverse skincare range is how luxurious it feels. The packaging is sleek, chic, and heavy. The scents are clean. The products themselves are tinted pink (!). 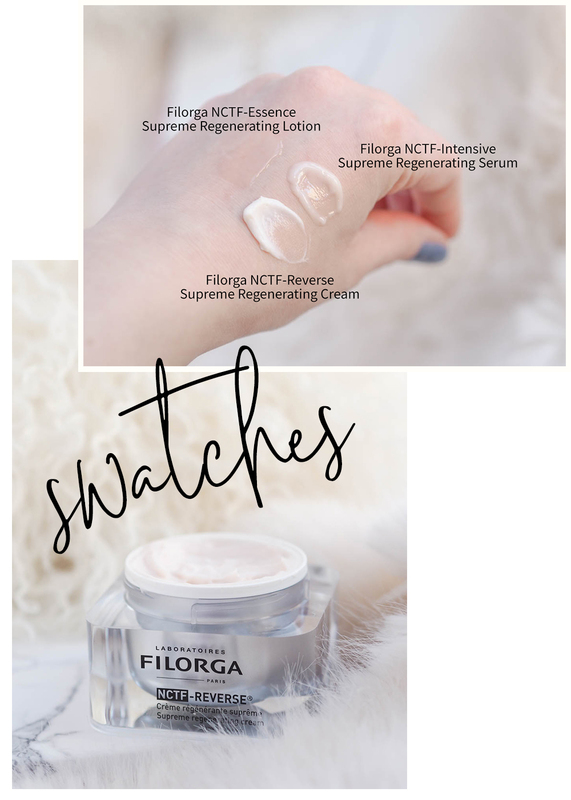 The real question is — would I purchase the FILORGA NCTF-Reverse skincare range with my own money? No, I would not. I really enjoyed the experience, the luxurious look and feel of the products, but my skin is still too youthful and plump for this range (please, can it stay that way?). And, more importantly, a routine this expensive would probably bankrupt me. It’s a slight exaggeration, maybe, but it is outrageously expensive. There’s a market for it, there’s no doubt about that. If you’re older and have money to spend, this is a great option to consider, especially if you want to supplement cosmetic injections and help them last longer. In the meantime, I’m v. happy shopping the latest Vichy launches with my PC Optimum points.